﻿ How to make data table responsive with Data Table WordPress plugin? It’s not a secret that in modern world every step in design and web-world should be responsive! WordPress Data Tables Generator by Supsystic automatically creates responsive tables. So you don’t need to activate for this any options, it will be responsive by default. Disable responsivity. 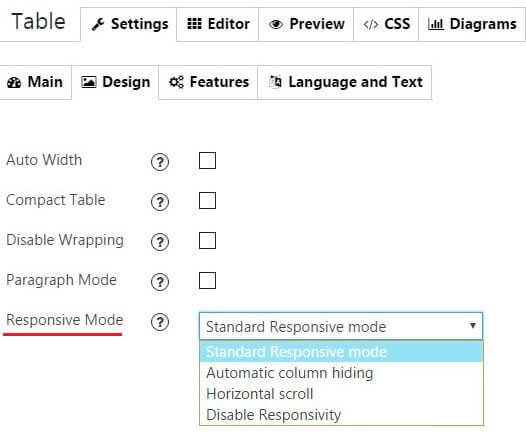 Enable this option and you will see the table without responsivity. 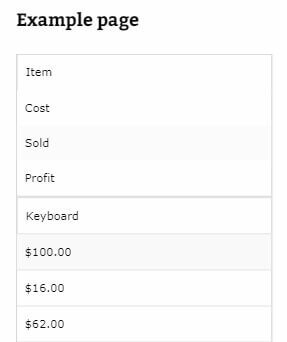 NOTE – you can also use Fixed Columns Width feature in Table Editor to make your columns to be of special width in responsive mode. Important – it’s better to use values in px, if you want width to be exactly the same as you’ve established – cause percents can be interpreted by browser in a wrong way. Do you want to check it? The elementary way to make table responsive is, of course, to make it with the help of Responsive Table Generator by Supsystic. Do you want to understand if your table is really responsive? The easiest way – open it on tablets, laptops or cell phones. Works with Bootstrap, Foundation and other responsive CSS frameworks. We made an example of different responsive modes, so you can check them on any device. and so on. Responsive data table not only looks good on different devices, but also checks and adds all the statistics, can be easily changed and can be customized for your requirements! Check out the info with FAQs, video tutorials and different kinds of asking pages, question-answer forums+general info and plans back on this page WordPress Data Tables Documentation. NB for new users! Back to main page of WordPress Data Tables Generator. Look through the main tasks of our plugin, themes, variants and also some advice for installation. 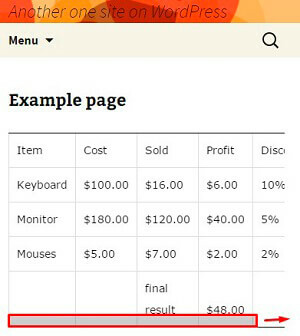 Your WordPress responsive table examples and, of course, any type of data table (with comments, pictures and details) can be inserted into posts and pages with a simple shortcode (or a template function) that allows for the same table to be easily used across multiple pages. There’s also the option to export and import tables for sharing across sites. You can just copy it and insert into the place in the code of the page. Data Table by Supsystic is perfectly capable to extend table functionality to your WordPress site. Trust us, that there is no need to go through other plugins, install the trial or even pro versions, wasting your time, money and efforts! 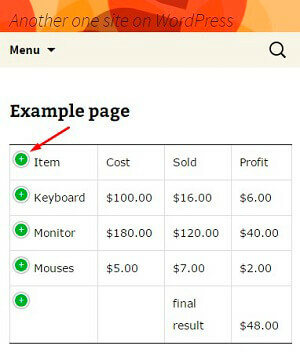 How to make WordPress table responsive? Install Data Table Generator by Supsystic! It’s very easy and guarantees you the best result with no special efforts, some additional knowledge etc.